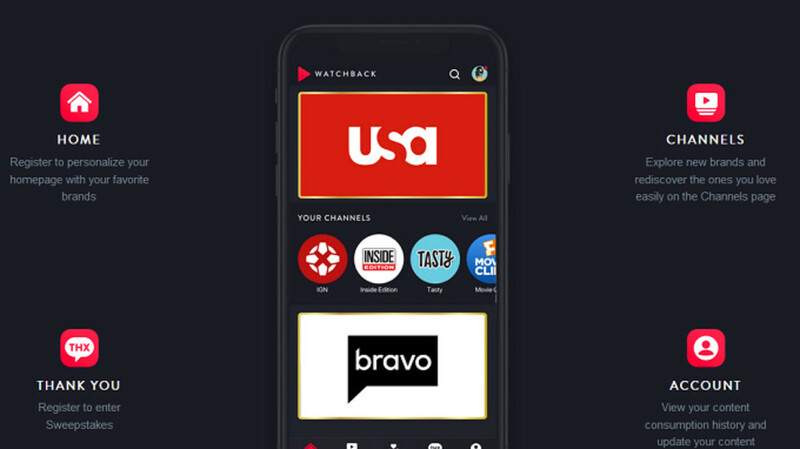 Now available on iOS, and coming soon to the Google Play Store, the NBCUniversal WatchBack app tries to get video streamers excited about NBCU's new television shows by giving them incentives to stream full episodes on the app. Users are awarded points for viewing these shows, which are available on the app for a limited period of time. Once you get hooked on a show, the app will notify you when the next episode is on television. For example, if you watch two 23-minute episodes of E! 's new "Ashlee+Evan" reality show before October 8th at midnight ET, you will be entered into a sweepstakes. Ten people per episode will be awarded WatchBack points valued at $100. These points can be redeemed for gift cards from Amazon, Best Buy, Burger King, Domino’s, eBay, Fandango, Krispy Kreme, Macy’s, NASCAR.com SuperStore, NFL Shop, Papa John’s, SiriusXM, Starbucks, Target, Walmart and Whole Foods. The app also allows you to track your usage thanks to third party software from Nielsen. But if you're worried about privacy, you can opt-out of this feature. The one thing to remember is that WatchBack is not a video streaming app like Netflix or Amazon, but it is a promotional and analytic tool. NBCU is hoping that even if you're not thrilled with the featured shows on the app, you'll be so enthralled with the short clips of other programs, that you will start watching them on the NBCU networks that they can be found on. To install WatchBack on your iOS device, click on this link.